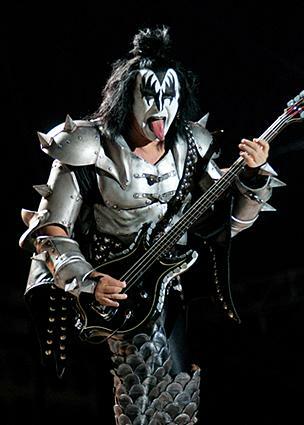 If you have always wanted to be a rock star, KISS costumes are a great way to express your inner rocker. KISS band costumes are easy to put together and fun to wear by yourself or with a group of friends. Halloween Costumes: This site has a variety of KISS costumes and half-masks, including an unusual Gene Simmons mask complete with tongue! Costumes Galore: This online store carries official KISS costumes and a variety of 70's band costumes, including ones that resemble members of KISS. There are also a few KISS makeup kits on the market which include everything you will need to complete your particular look. You can replicate the look of your favorite member whether it be the Demon Gene Simmons, Starchild Paul Stanley, or Spaceman Ace Frehly. Makeup kits range in price from $15 to $21. During the Halloween season, you can often find these kits in the costume section of discount stores as well as at party supply stores. Want to have fun with your KISS Halloween costume? Invite a few of your friends to dress up as their favorite KISS band member and hit the town as a group. You'll be sure to garner a few looks and perhaps you'll even win a costume contest.